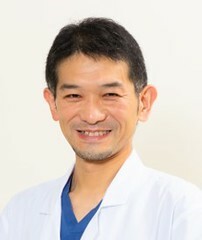 Post written by Naohisa Yoshida, MD, PhD, from the Department of Molecular Gastroenterology and Hepatology, Kyoto Prefectural University of Medicine, Graduate School of Medical Science, Kyoto, Japan. We herein introduce 2 cases in which precutting EMR with a snare was performed. The first case was a IIa+IIc lesion 10 mm in size on the sigmoid colon. In this case, the center of submucosal elevation was depressed after the injection, and we gave up standard EMR. Thus, we performed precutting EMR with partial circumferential incision as a rescue to resect the lesion en bloc and achieved an en bloc resection. Histology showed high-grade dysplasia with negative margin. The second case was a IIa lesion of 25 mm in size on the ascending colon. It was too large for regular EMR. Thus, we performed a scheduled precutting EMR with full circumferential incision and achieved en bloc resection. Histology showed sessile serrated polyp with negative margin. EMR is sometimes difficult due to not only big tumor size (≥20 mm), but also an appropriate injection elevation even for a tumor <20 mm in size. We considered that precutting EMR with a partial or full circumferential incision could solve these problems. Precutting EMR needs only a hard snare like a Captivator II (Boston Scientific Co.), and this is easier and safer than ESD. Regarding an injection solution, long-lasting ones such as hyaluronic acid or a kind of polymer are better especially for non-experts, though saline can be used. The appropriate lesions for precutting EMR are larger adenomatous and serrated lesions (20–30 mm) or a lesion of <20 mm in which good elevation may not be achieved or is not actually achieved (eg, lesions with fibrosis due to biopsy or the characteristics of the lesion, lesions invading the submucosa, lesions in difficult locations, lesions with severe breathing movement, or rectal neuroendocrine tumors). In this paper, endoscopists can learn tips for achieving en bloc resection with the precutting EMR technique for difficult lesions. We believe that precutting EMR will become widespread as a standard technique in the world.